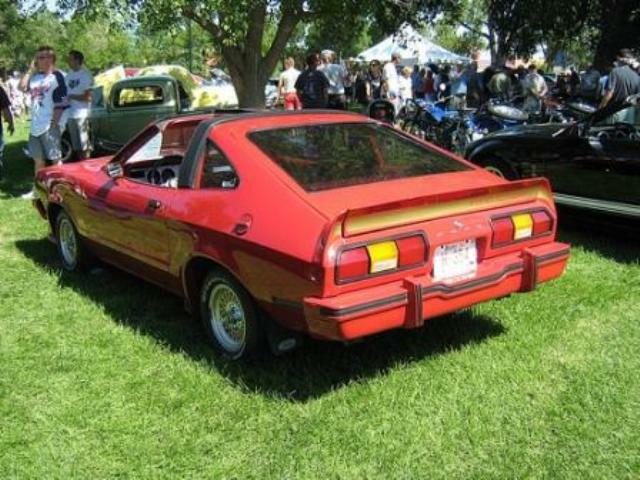 Additional Info: Designed to be a lighter sporty Mustang, but was in reality still of reasonable weight and being strangled by new emissions made it a much under powered car. 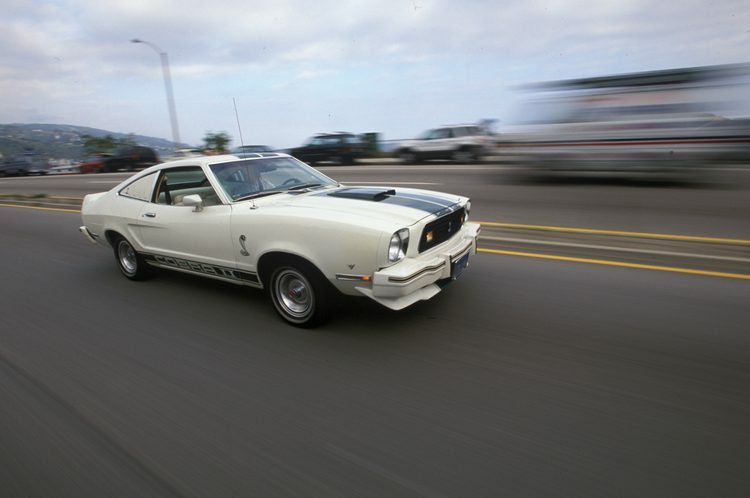 In 1974 the engines available were a 102bhp 2.3 V6, a 119bhp 2.8 V6 (a miserable 13.8 secs to 60). 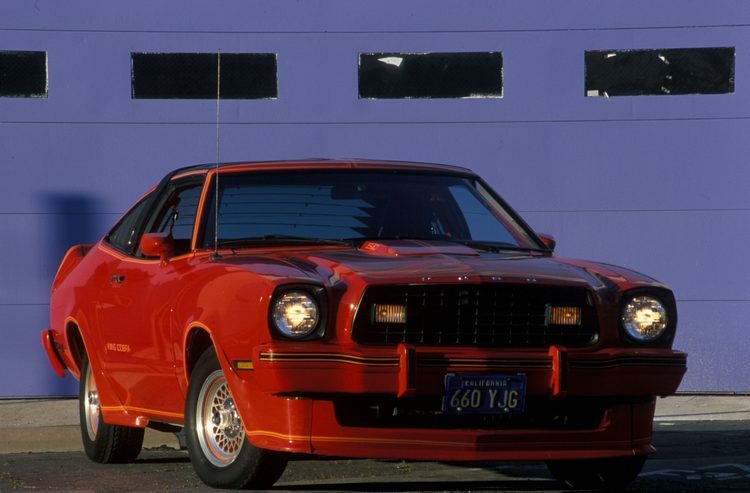 In 1975 the 302 V8 is re-introduced, but only rated at 134bhp. 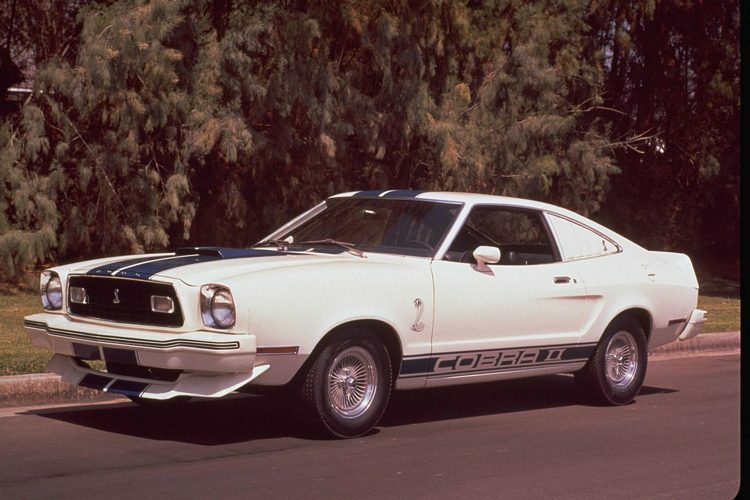 In 1976 the Cobra II was available, but was just an appearance package. 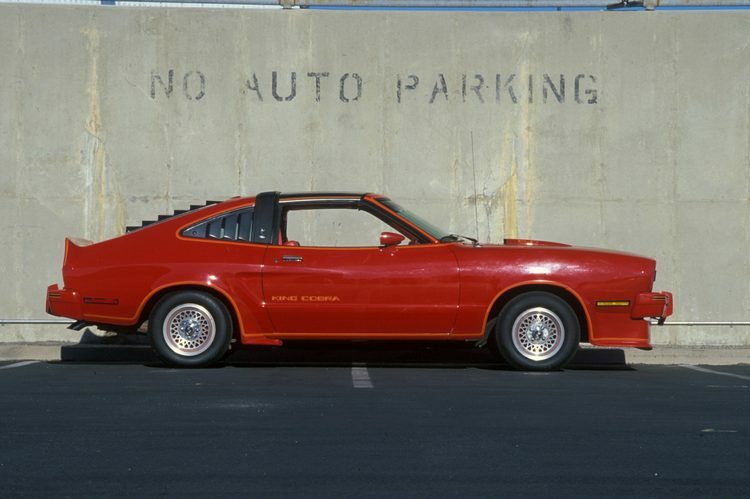 No change for 1977. 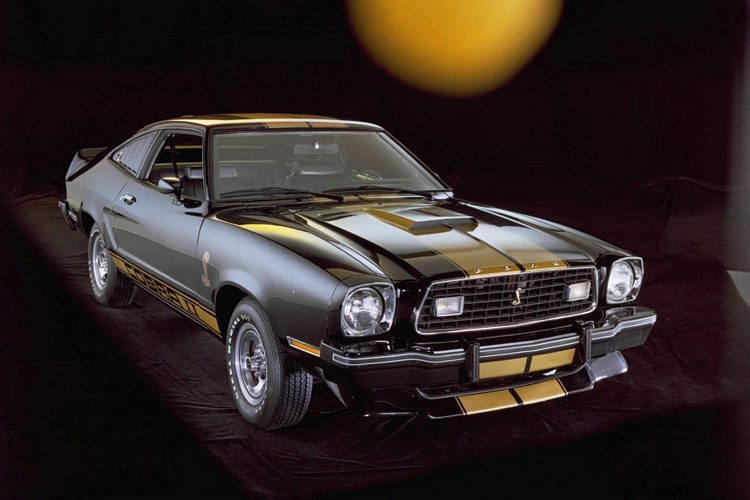 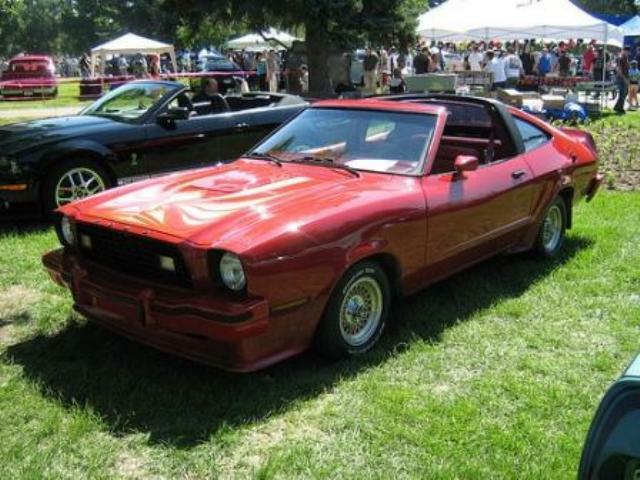 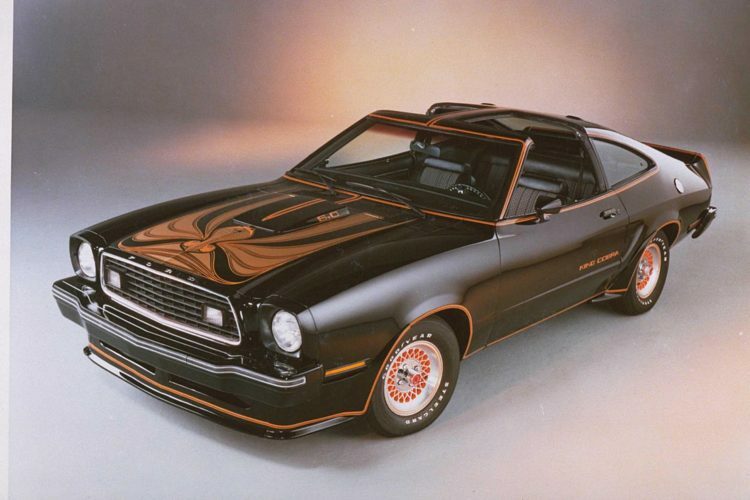 In 1978 Ford releases another package called the King Cobra Mustang II, which had a 4 speed manual gearbox, improved suspension and a decal package.